Great card! :D Love the beautiful green design paper you used and your image is colored beautifully. Adorable, i love this image. Thanks for playing with us over at Loves Rubberstamps!!! You are right, I never would have noticed, you did a great fix! Gorgeous card. Love the vibrant green and your coloring. 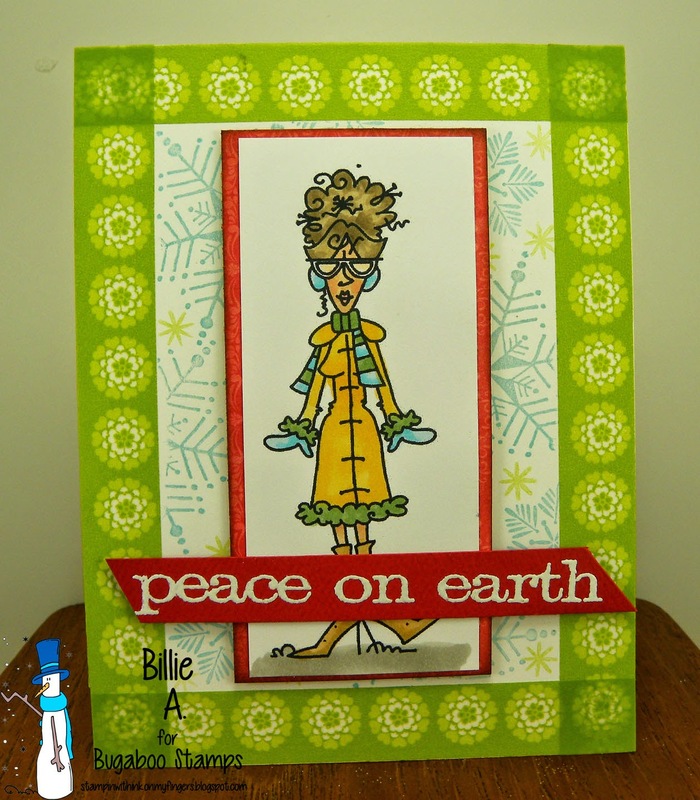 Thanks for joining our Merry Christmas Challenge at Sassy Studio Designs. Good luck! Funny card with an adorable image. Thank you for joining us at TPS Challenge! Thanks for joining us at C.R.A.F.T. Challenges this week and Happy New Year! Great Christmas Card, I love the colors. Thanks for joining us at Sassy Studio Designs. Very cute! Love the colors - great paper choice! Thanks for playing in Squigglefly's challenge! Beautiful colors for a wintry card! Thank you so much for joining us at Love to Create Challenge.